The owner of Cannes Lions has suggested that this year's drop in attendance by the big ad agency groups could be a permanent shift as they may have "got to their right level for them". Industry sources say attendance by the leading ad agency groups has dropped by up to a quarter (not including Publicis Groupe), as ad agencies feel the final squeeze. WPP and Omnicom have maintained they have each sent about 20% fewer people. Interpublic said it has cut by 15%. Dentsu and Havas have sent broadly similar numbers as before but they are smaller ad groups. Duncan Painter, the chief executive of Ascential, the parent company of Cannes Lions, said: "My sense is probably the holding companies have got to their right level for them." Painter maintained that efforts to "reset" expectations and refocus Cannes Lions on creativity were paying off, after Publicis Groupe pulled out this year because it said the festival had become too bloated. "If you look at who they [the agency holding companies] are sending less, it's not the creatives, it's the media people," he said. "Creative teams are still being sent in good numbers. They are exactly who we want at Cannes Lions." Ascential was expecting fewer attendees because it reduced the number of awards and shortened the length of the festival in response to Publicis Groupe's criticism. 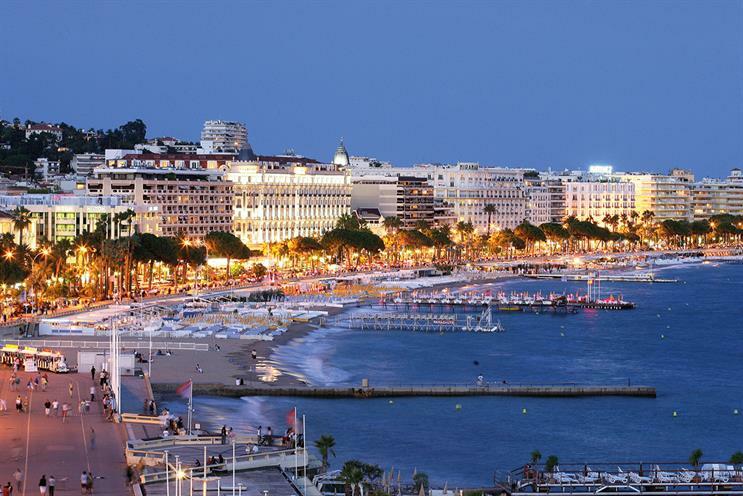 Even so, spending by the other agency holding companies has been lower than Ascential expected and regular visitors at Cannes Lions have commented that this year's festival has felt notably quieter. Awards entries have dropped about 20% to 32,000 but Painter said the number was slightly up, if the effects of the Publicis Groupe withdrawal and the reduction in the categories are set aside. He pointed out that other companies, including independent agencies, management consultants and some of the Chinese tech firms, have been sending more delegates. "Through our changes [to the festival], I do believe that people are much focused on the work and the creativity than the parties," Painter said. "We have been taking a number of measures to get the balance right and ensure the Palais is very busy." Seventy-four chief marketing officers and marketers – about three times as many as before – are speaking on-stage at the Palais this week. Cannes Lions has been encouraging more brands to attend the festival at a time when many of the big agency groups have been feeling financial pressure. "Our focus over the next couple of years is getting brands into the event," Painter said. "We want brands taking the lead, talking about what they want from creativity and from agencies." Painter believes Cannes Lions, which had turnover of £66m in 2017, can return to growth in 2019, not least because Publicis Groupe is set to return. There were more than 10,000 paying delegates last year. Final numbers are disclosed after the event has completed. Separately, Ascential hosted investors at Cannes this week where the British information and events group gave a presentation about the future shape of the digital economy. The presentation included a revealing slide that showed a shift from brands using ad agencies and publishers to communicate with customers in the past to a new, more connected world where brands are able to interact with consumers in a direct relationship, underpinned by data. Ascential has a joint venture, Spikes, with Haymarket, the owner of Campaign, in Asia.